Blurb Description: The moment Spencer meets Hope the summer before seventh grade, it’s . . . something at first sight. He knows she’s special, possibly even magical. The pair become fast friends, climbing trees and planning world travels. After years of being outshone by his older brother and teased because of his Tourette syndrome, Spencer finally feels like he belongs. But as Hope and Spencer get older and life gets messier, the clear label of “friend” gets messier, too. A HUGE YES FOR #DiverseBooks with GREAT MENTAL HEALTH REP, because we need that SO SO MUCH. These diverse books that show me the world from the eyes of someone diagnosed with any kind of mental illness is enlightening because it helps putting myself in someone else’s shoes, understand whatever little I can and be a kind person to everyone out there. Books about mental health have taught me more that I can say, and when I read that this book was about Tourette’s syndrome, a mental illness I know almost nothing about, I knew I HAD to read it. 1. 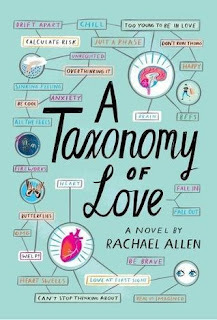 A Taxonomy of Love was a hilarious, brilliant, diverse book that was also a coming of age love story between neighbours and best friends and it was EVERYTHING. 2. I loved how Tourette’s was explained from Spencer’s point of view. It was such an important part of the book, looking at his disease from his own point of view as he and people around him came to terms with it and AT THE SAME TIME, I love that the disease wasn’t all there was to the plot or to Spencer. This book was about a teenage boy with Tourette’s and both sides of the equation were balanced PERFECTLY. 3. The taxonomies in this book were some of the CUTEST things I’ve ever seen. From the one about who merits a second look in high school to the Greatest Villains of All Time, I loved each and every single one of them. 4. A Taxonomy of Love is mostly told from Spencer’s point of view but has the occasional switch to Spencer’s neighbour, Hope’s point of view. These switched are told through letters, diary entries and texts to Hope’s older sister, Janie. 5. Which brings me to how I’M STILL NOT SURE HOW I FELT ABOUT HOPE. She was hurting and broken but she also wasn’t a very good friend to Spencer. She also had the Manic Pixie Dream Girl vibe going which is one of my least favourite tropes in literature and while I fell for Spencer FAST, I struggled to connect with Hope. 6. 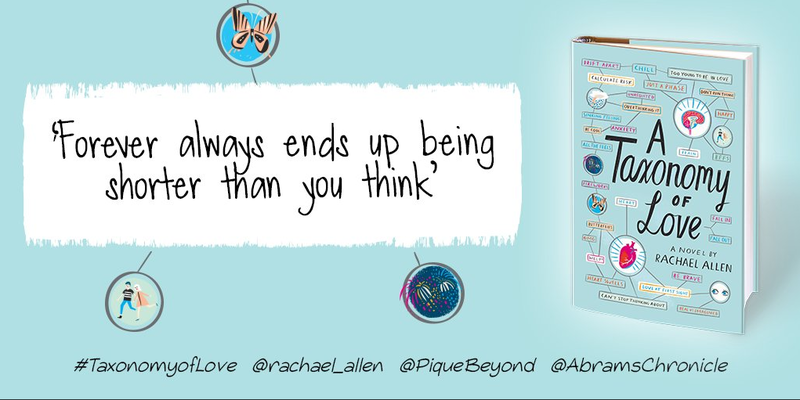 This book is told over the course of six years – thirteen to nineteen, also known as the precarious teens, and I loved seeing how every single person grew, changed and matured over those six years. 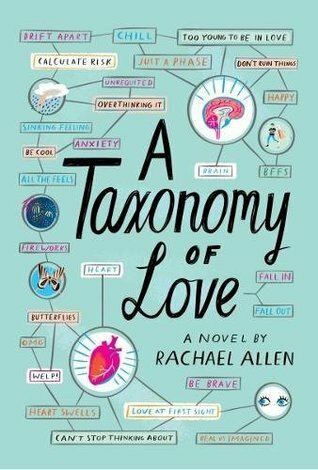 A Taxonomy of Love is a brilliant, touchingly funny coming of age love story about a boy with Tourette’s learning to live and love. Rachael Allen is a mad scientist by day and YA writer by night. She lives in Atlanta, GA with her husband, two children, and dire wolf. 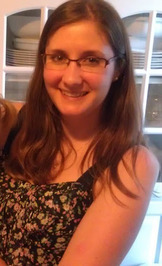 She loves homemade peach ice cream, having adventures all over the world, and stories that make her feel like she's been poured inside another person.Author of A TAXONOMY OF LOVE (Abrams/Amulet, January, 2018), The Revenge Playbook, and 17 First Kisses. Represented by Susan Hawk of The Bent Agency. What are some of the BEST book on Mental Health that you've read? What are some literary tropes that you absolutely HATE? Have you read A Taxonomy of Love? What did you think of it?